Day 1. 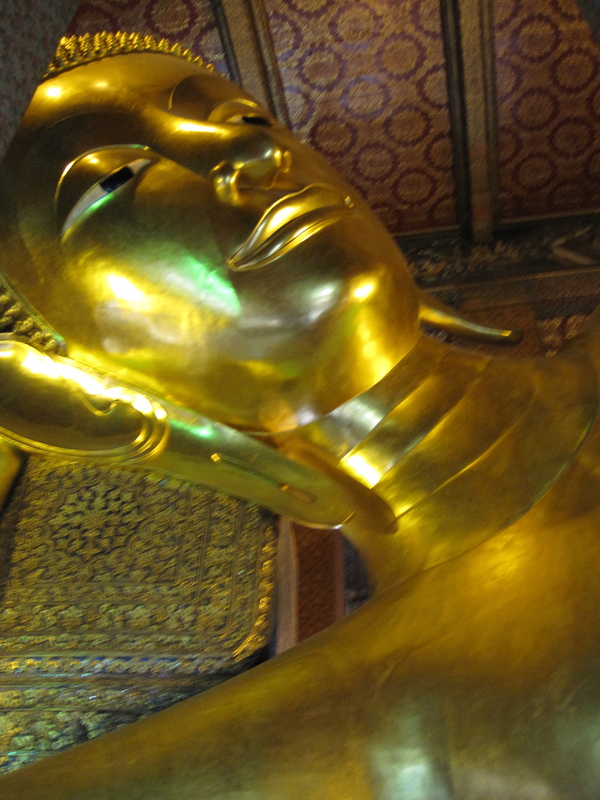 I didn’t see Buddha today among all the Golden Buddhas. 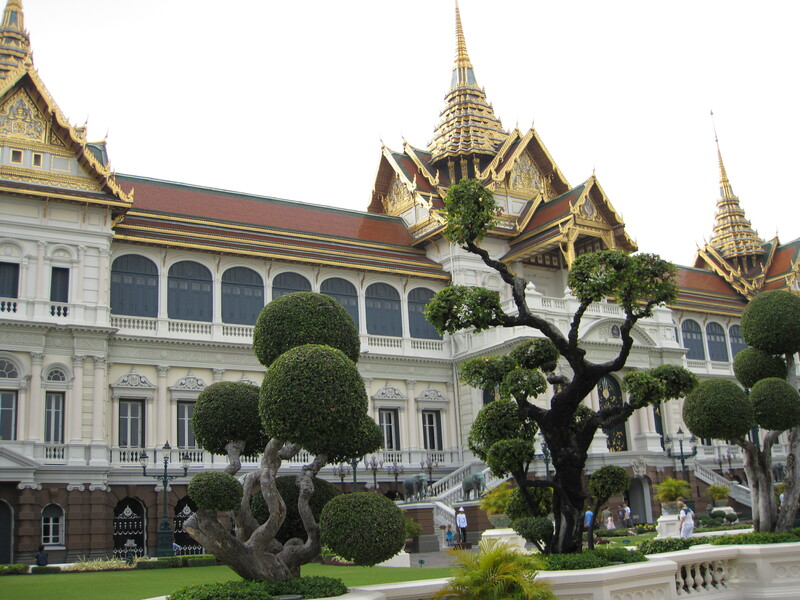 He wasn’t at the most famous Emerald Buddha where all Buddhists go to worship. 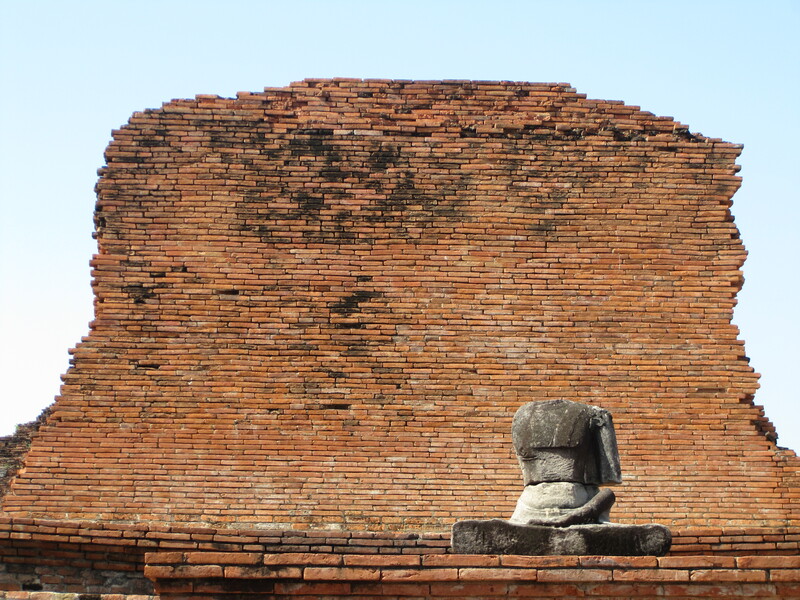 He wasn’t around the ancient Buddhist scriptures or at the giant leaning Buddha or the Grand Palace. I heard he was on the sky train but I missed him. I thought I saw him in the night market eating fried crickets on a stick. It turned out to be an old man with a beautiful smile. (it might have been gas- crickets are apparently better for the digestive system when eaten raw). I didn’t see him at Starbucks, nor was he having the most fabulous Thai Massage. 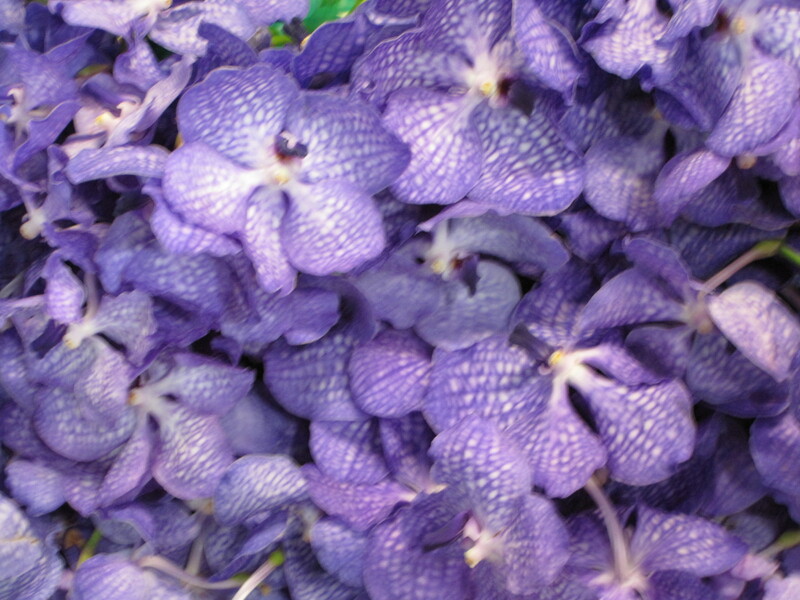 I thought I saw him at the flower market among the beautiful orchids but it was just another Buddha wanna be. 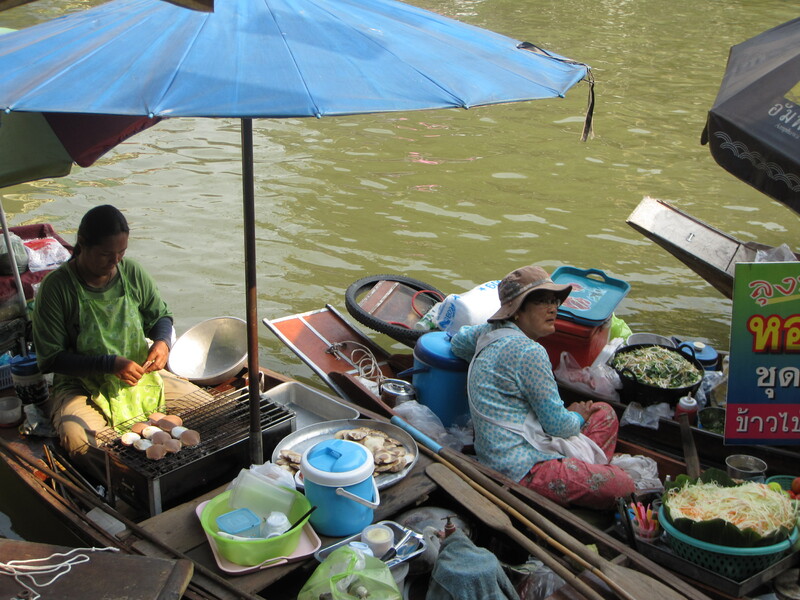 He wasn’t having Pad Thai , Thai Coffee and Thai Mango at the restaurant on the river. He was not on any of the riverboats that I have been on today. I will look again tomorrow. Day 2. No, not today. Day 3. 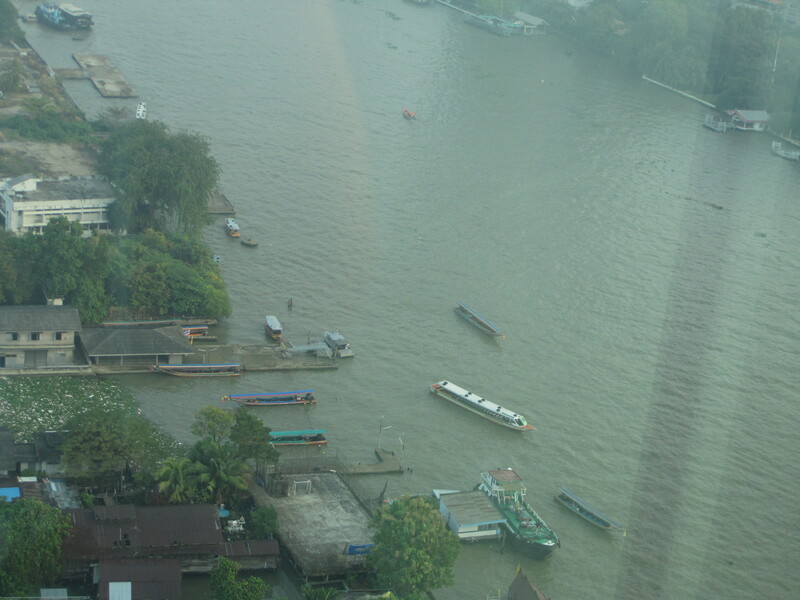 He wasn’t at the floating market. Someone swore he ate lunch there everyday. He wasn’t at the train market either. 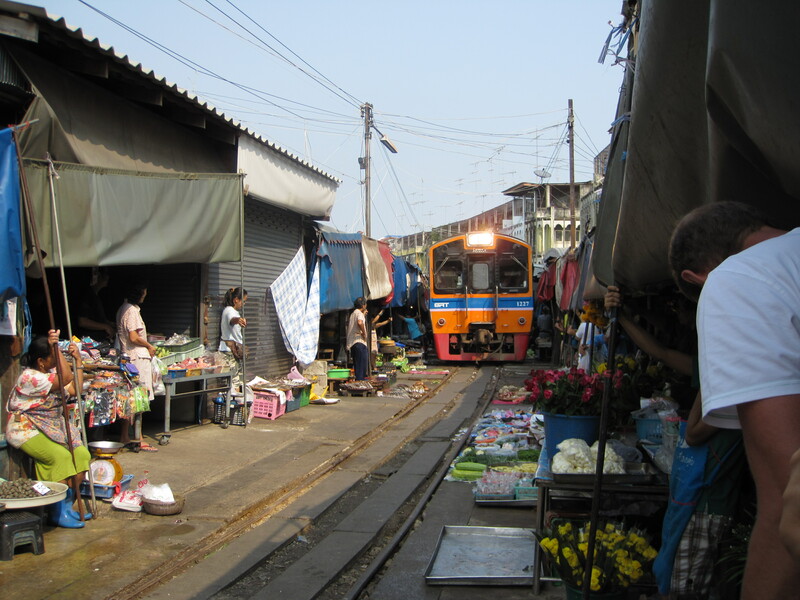 The train runs through the market to Bangkok eight times a day. Eight times a day, they pack up and put out their food. The people help each other do it. It is not very tranquil. No one seems to mind. They all have their shrines to him and they all smile. I think he has been there before. Day 4. Buddha is not shopping at Siam Paragon Mall or MBK. 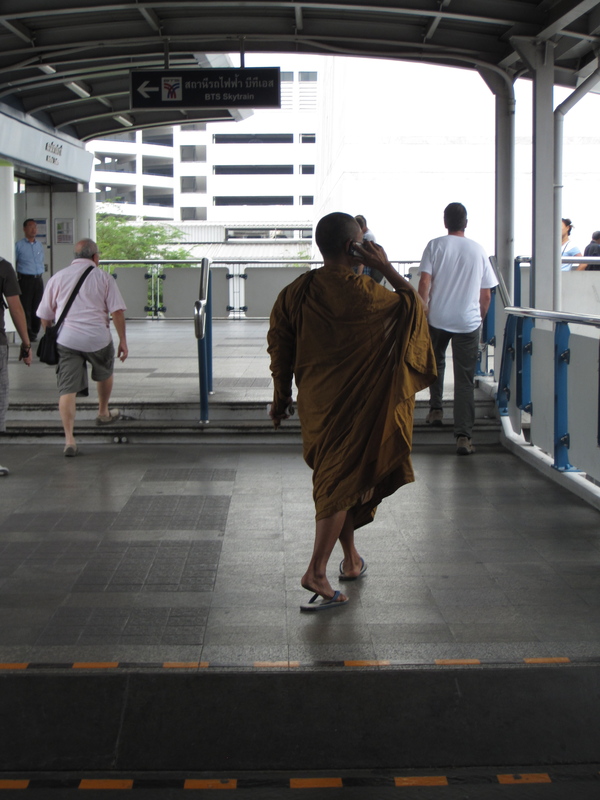 However, there is a monk on a cell phone and two other monks with shopping bags. I hope he is not begging for rice in the food court. He is not at Best Quality Fakes either. Though, I’m sure he would know how to find them. Day 5. 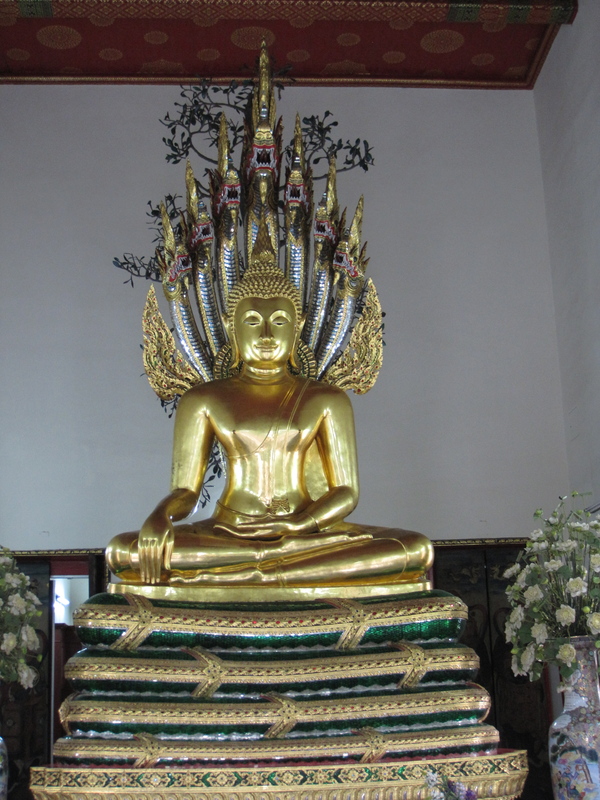 The real Buddha is not at the old capital city of Ayuthetta. 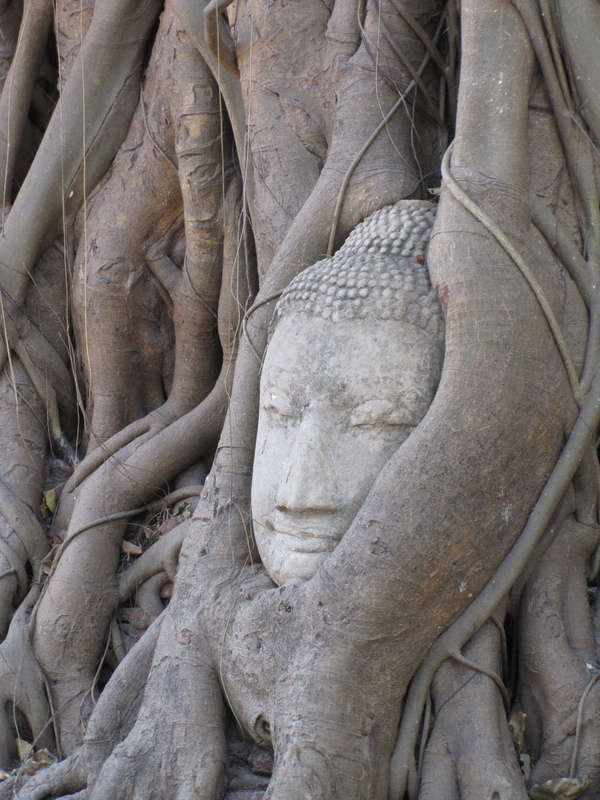 There are many Buddha statues and many more decapitated ones. 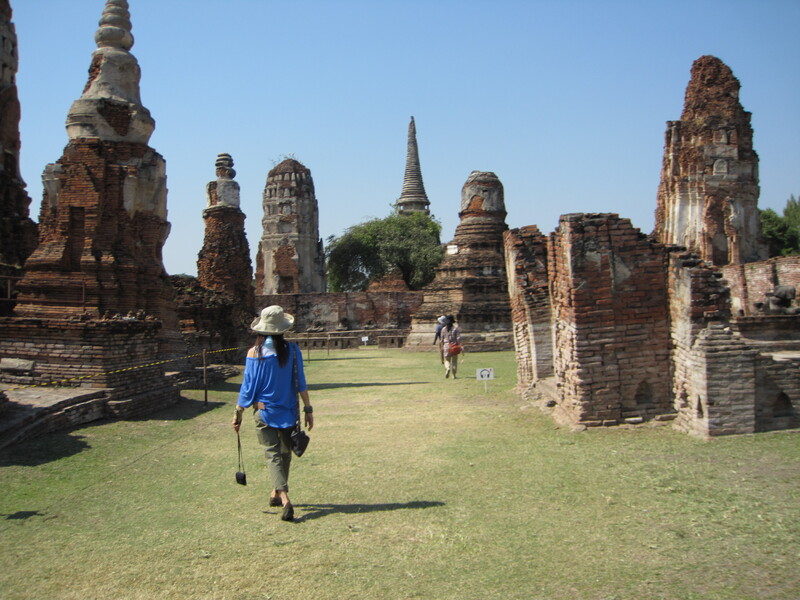 It is the ruined city that is left after the Burmese ravaged the old capital. it must have been quite beautiful when Buddha was there. I couldn’t see him when I was riding the elephant and I was pretty high up. Day 6. He was not at Chatuchak Weekend Market . If he was there on a weekend, I would never see him because it is one of the largest and most crowded markets in the world. It covers over 27 acres and has more than two hundred thousand visitors per day. Surprisingly, He was not at (BIA) Buddhadasa Indapanno Archives. 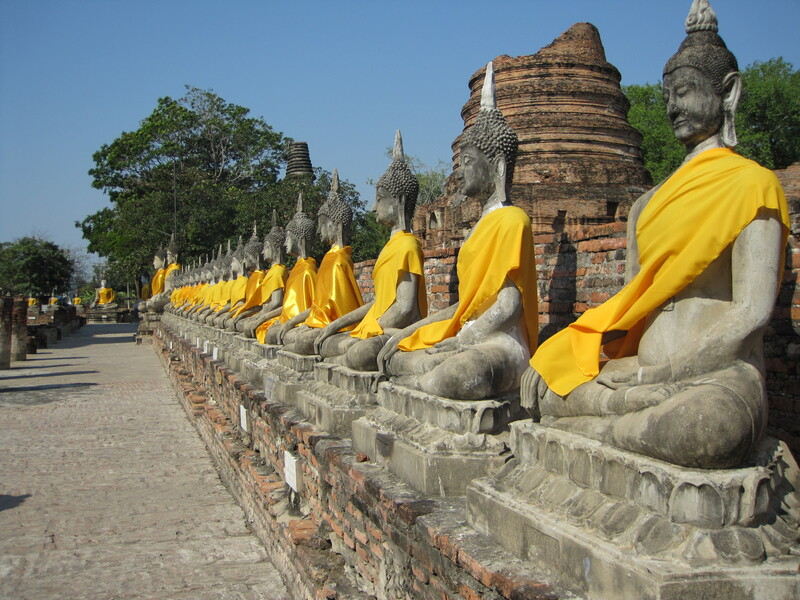 It is the most beautifully decorated space combining art and nature dedicated to Thai Buddhism. 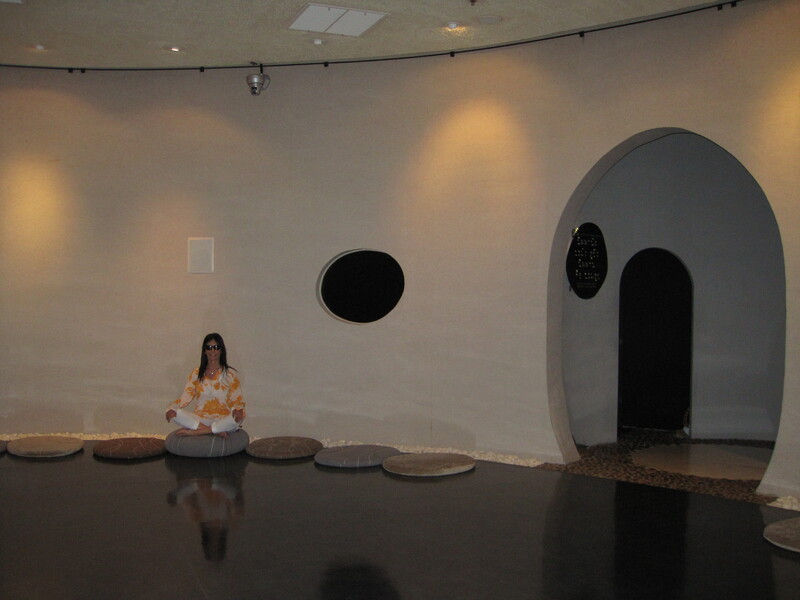 When I meditated there , I didn’t find Buddha but I did find peace. As I rode to the airport I wondered where was he in this very Buddhist country? Was he in the faces of the children, the kindness of the people, the quiet dignity of the elephants, the beautiful orchids, the peace at the meditation center? Was he there all the time? Or, will I just have to look harder on my next visit? 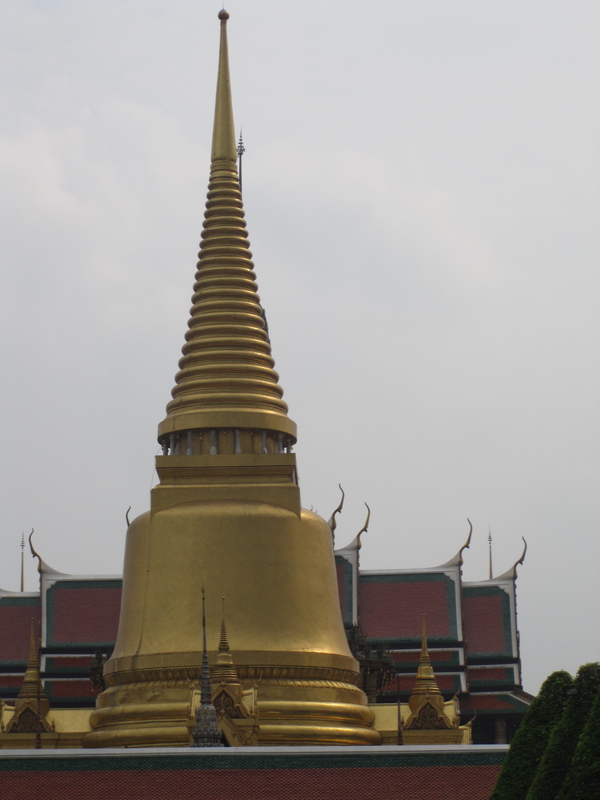 This entry was posted in Asia, Bangkok, Thailand, travel and tagged Bangkok, Buddha, Thailand, travel by jaynezak. Bookmark the permalink.